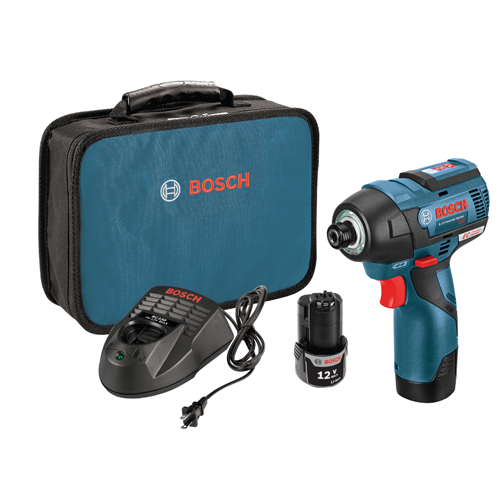 The Bosch PS42BN 12 V Max EC Brushless Impact Driver with Exact-Fit Insert Tray package features a lightweight, high-efficiency 1/4 In. hex driver. The small-but-mighty PS42 has a 5.5 In. head-length and weighs just 1.6 Lbs., but it is a powerhouse, with an optimized impact system. It also has the Bosch performance control system, which supplies two speed settings, one for high speed and one for high torque. This delivers no-load RPM ratings of 0-1,200 and 0-2,600 and no-load impact-per-minute ratings of 0-2,700 and 0-3,100. The drivers produces 975 In.-Lbs. 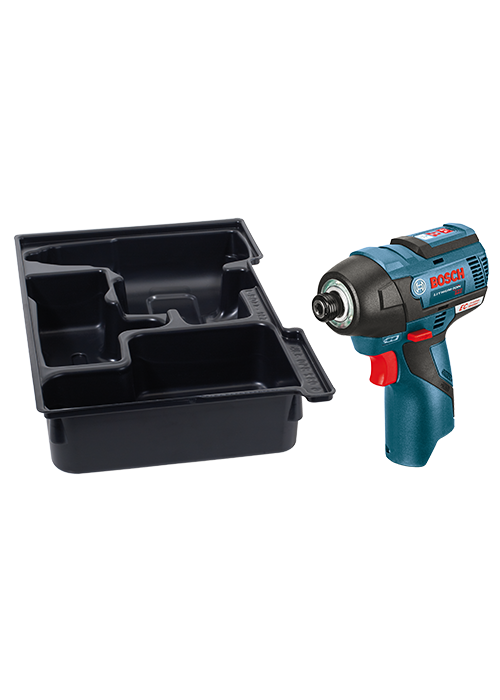 of max torque, great for repetitive driving tasks and about 85 percent of the fastening tasks around the professional jobsite. The tool's EC Brushless motor and improved all-metal gearbox allows for unmatched efficiency, great runtime and longer life. This driver has a 1/4 In. hex drive and a three-LED light ring.